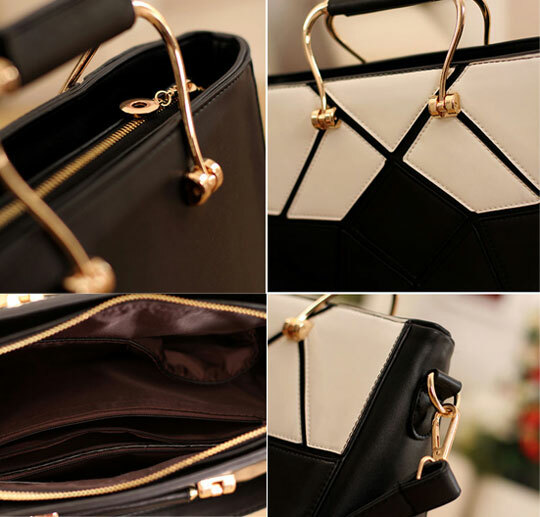 This Graceful Black And White Fashion Style Handbags ,contracted design send out a free along with the elegant style, no fading and no bad smell. Meticulous workmanship make bag is high quality, fashion,simple appearance, very easy to match. High-end atmosphere on the grade, simple and stylish international norm. Black and white, the classic color, you worth to have one.